Revaluate can integrate with your Firepoint account to pull your contacts in and begin monitoring their scores. 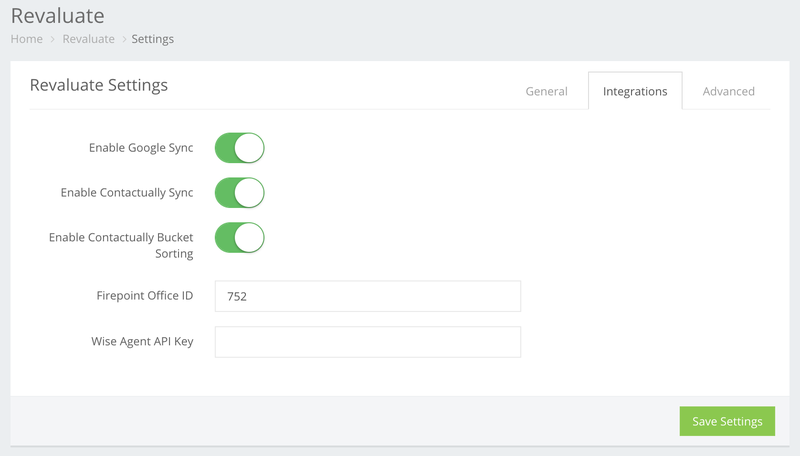 First go to the settings page and the integrations tab and enter your Firepoint "Office ID". Ask your Firepoint account manager if you're unsure what this is. Second, you need to export your contacts from Firepoint into a CSV file and then upload them into Revaluate. New contacts will automatically be synced every week so Revaluate can begin monitoring all new contacts. When we identify a very likely mover, we'll create a note on that lead in Firepoint with their Revaluate Score so you can work directly from Firepoint.